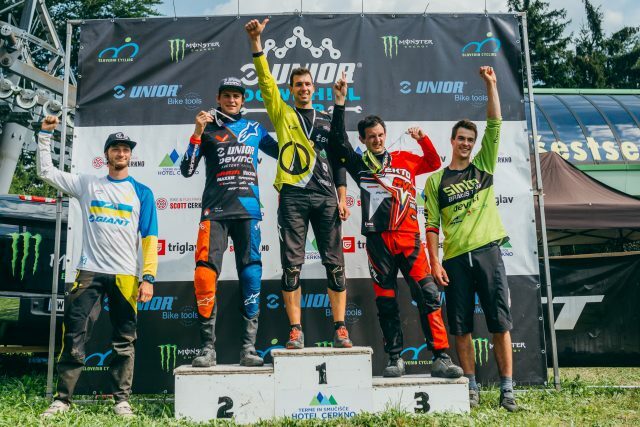 After an exciting start of this year’s Unior Downhill Cup two months ago in Bike park Javornik the second round in Cerkno also provided some intense racing. 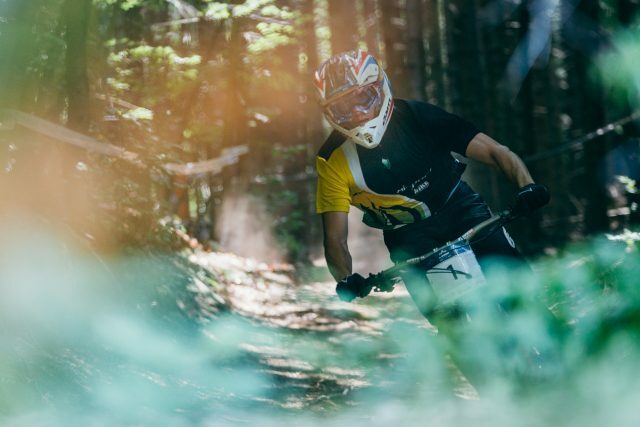 A hundred riders from five countries participated in the race on the dry and scary fast track by the fast Počivalo chairlift in Bike & Fun park Cerkno. Besides the seconds and Unior series points the elite and junior riders were also chasing the UCI points of the Class 2 race and Croatian riders were also after their national series points. 21-year old Luka Berginc (Črn trn/Blackthorn) took the victory in men’s UCI race, third national series win in his career. In his final run he was 0,2 of a second faster than last year’s series champion Jure Žabjek (Unior/Devinci Factory Racing) and Miha Ivančič (ŠKTD Avče) finished third 3,31 behind the winner. Ukrainian champion Iegor Primačenko (KA Engineering) in fourth (+5,05) and last year’s junior national champion from the same track Rudi Pintar (Sinter Brakes Team) in fifth place (+5,19) also earned their spots on the five-men podium. Žabjek who is returning after injury and getting prepared for World Cup race in Canada in two weeks time was the fastest in the semi-final run in front of Berginc and Ivančič. Berginc who finished second at Javornik took the lead in the series standings. 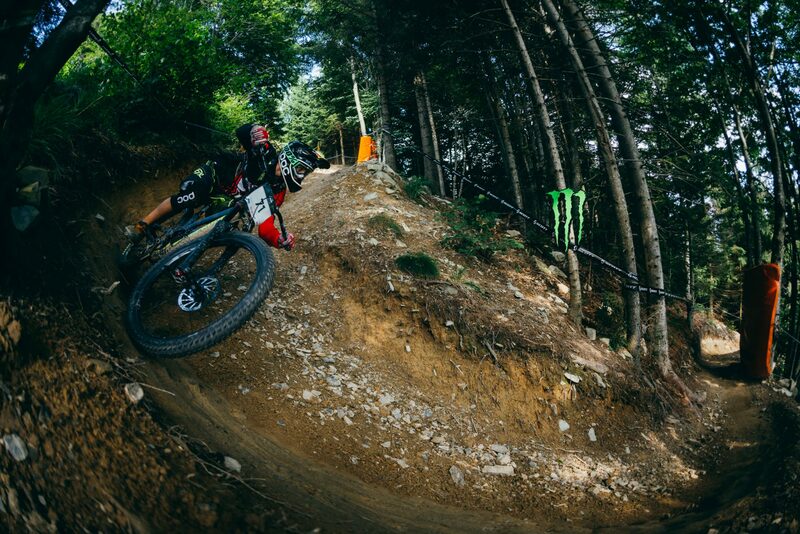 Berginc is having his best season so far, he also finished 2nd and 4th in iXS European Downhill Cup. »It’s the first time that I’ve started my traning in November. I have been working out in the gym and riding my DH bike on weekends. 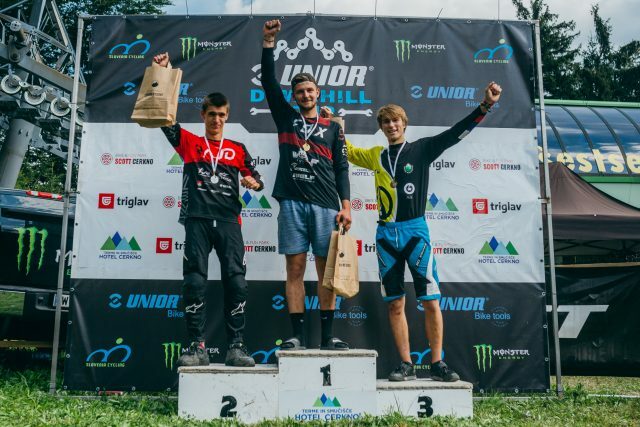 And it shows…« Luka is a student of University of Sports in Ljubljana and is coaching himself while having junior rider Žak Gomilšček as his training partner. »I would not be here without Žak,« Luka says. »I expected to be even faster in the final but I guess you can’t improve your time that much on a fast track like this,« says Luka who is the second Berginc to win in Cerkno. 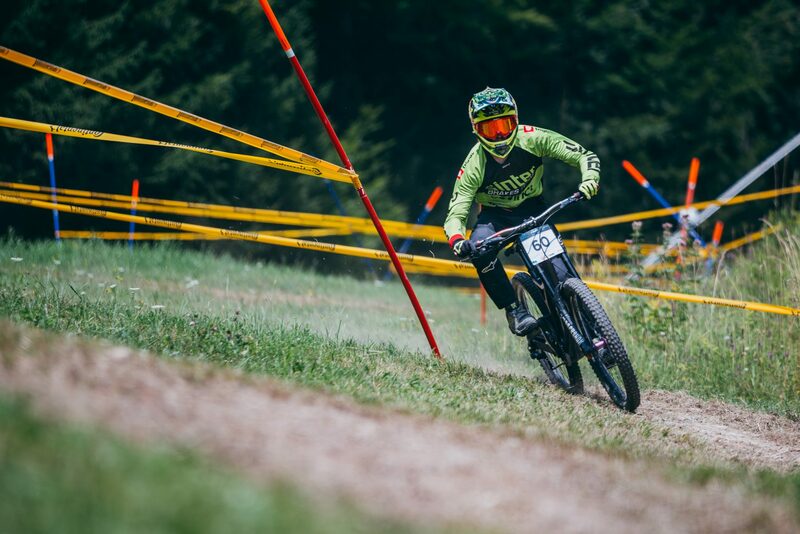 His older brother Kevin won the Cerkno downhill race as junior back in 2012 on the old track in town. Last year’s series winner Matic Kokelj (Wolf Racing Team) was the fastest junior of the men’s UCI race just 0,76 in front of second placed Gašper Jurečič (Rajd Ljubljana), Jure Štrancar (Blackthorn) finished third. Žak Gomilšček was the fastest junior in the semi-final but didn’t finish his final run after puncturing his tyre. 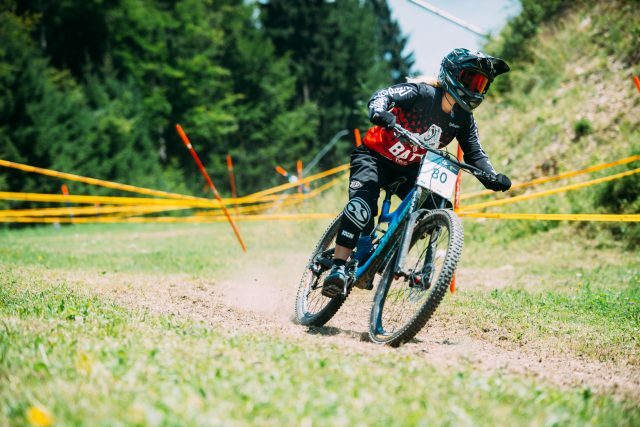 With some riders missing in women’s category it was a duel between the more experienced Katarina Primožič (Batt Team) and the first year junior Naja Stipanič (Blackthorn). Katarina won with a gap of 13 seconds. Besides Berginc three more riders from Primorska region where Cerkno lies won in their respective categories. Marko Niemiz (Sinter Brakes Team) was the fastest in male under 17 category. He’s been unbeaten since last year and has won his sixts national race in a row. This time with a time that would have brought him a victory in U19 category and a 7th place in elite men. Gašper Jereb (Avče) won master men and Robert Bavdaž (DEŠ Fleš) the amateur category. Furthermore Tomo Joksimović Terpin (Sinter Brakes Team) won in U15 boys and Nino Kokelj in hobby class. Thank you ŠD Pedal Cerkno and Bike & Fun park Cerkno! 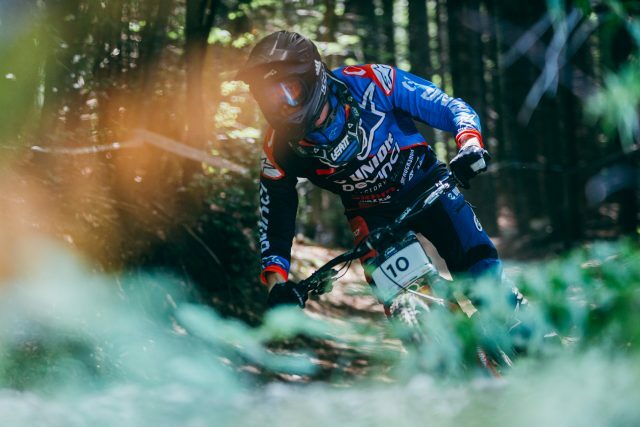 The series ends on September 15 and 16 in Bike park Pohorje in Maribor.